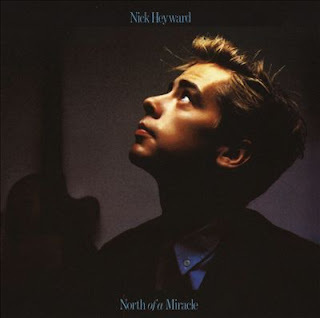 CLASSIC ALBUM REVIEW - NICK HEYWARD - "NORTH OF A MIRACLE"
I must admit I wasn't a huge Haircut 100 fan although I did love their catchy songs. 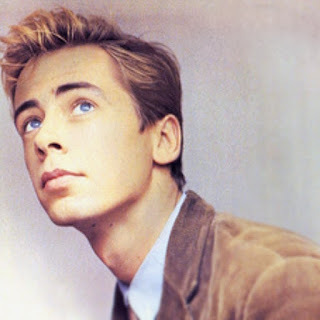 When Nick Heyward left the band before the second album recordings I didn't hear of him again until his solo single "Whistle Down The Wind". Originally stating at the time of leaving he said he had pondered solo work for a long time but later admitted he suffered from stress due to the constant workload of the previous album and hits and was unceremoniously sacked. Haircut 100 didn't fare so well while Nick carved himself a solo career, although not with the mega success of his previous band, but cult status and recognition by his peers and media of being a great songwriter. I have all but one of his solo albums and I think on the whole he is still maybe a little underrated as a singer songwriter. That, however, is my opinion and I am sure it could be debated. Back to this album, it reached number 10 in the UK charts and spawned four singles. The first, the aforementioned "Whistle Down The Wind" was one of my favourite singles of 1983, reached number 13 here and it even gave Nick his one and only top 20 hit in the United States. The song showed a more mature composition from Nick, his vocals suiting the light, lilting ballad. It was released in March and had that Springtime air to it, a great chorus and just a brilliantly crafted song. The next single was "Take That Situation" was a great Jazz Blues type Pop song, similar to Haircut 100 but a lot more polished. Lots of brass accompaniment and giving it a real uptempo blast. It reached number 11, which was a suprise as I felt "Whistle Down The Wind" was much better. Before the album was released Nick released a third single, "Blue Hat For A Blue Day" which reached 14 on the chart. A really beautiful ballad, gliding along seamlessly between pure Pop and a little bit of soul! "On A Sunday" was released after the album so maybe that is why its chart position was only 52, everyone I guess already has this song. This was an unusual song but one of my favourites, its Pop Rock style reminds me of very early INXS and The Cars. Proving that Nick could turn his hand to any style if he so wished. 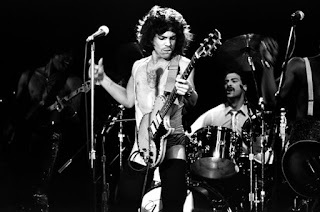 "When It Started To Begin", the opening track of the album set the scene of what was to come. A storming Jazz/Funk track, lots of brass, lots of percussion and Soul backing. Great start!. "Two Make It True" almost reminds me of Edwyn Collins' band Orange Juice and those kinds of bands in the early 80s. Alternative Indie Pop at its best, lots of style changes in the song, experimental and a compliment to the man learning his craft that it worked! "Club Boy At Sea" starts of minimal with some high vocals from Nick then smoothes into a Pop Rock style that a lot of bands in later years had adopted. 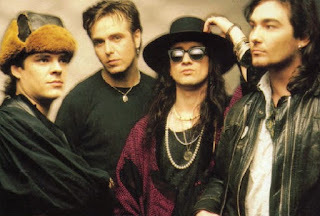 Bands like The Adventures, the Waterboys and maybe The Bluebells used this style of low quietened vocals and atmospheric backing a little more to the fore. "The Kick Of Love" is a piano-led Jazz Funk workout which includes excerpts of brass, almost Spanish guitar and piano solos. Not one of my favourites but it does grow on you every listen, just admiring the composition of the song. "The Day It Rained Forever" is a 50s crooner/Goth hybrid. It sounds weird but it works! Basically Nick is singing like someone out of an old 50s romance film but then the eerie brass backing comes in. Imagine one of the Rat Pack singing with The Sisters Of Mercy. Don't take my word for it, have a listen! "Atlantic Monday" ends the album the way it began. Its actually summing up the album's contents, there is a bit of everything. Jazz, Funk, Blues, Soul harmonies, lots of brass and percussion. Brilliant end to a great debut album. Love this track, gets your foot tapping until the end! CLASSIC ALBUM REVIEW - BILLY IDOL - "REBEL YELL"